I do a lot of writing in neighborhood cafes, spending much of my daily work hours in a shop about five blocks from home. It’s often easier to concentrate amidst the bustle and conversation of the coffee house than at home, with its quiet distractions. 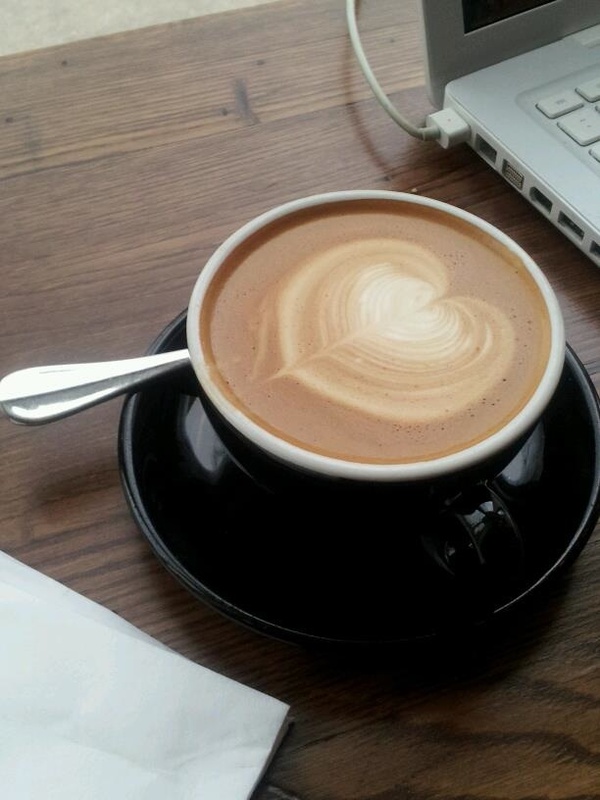 Cafes serve coffee — and, in the Internet age, as alternative newsrooms. The cafe is full of people hovering over laptops and netbooks, playing or working or both. I’m hardly the only journalist or writer among them. Once, a guy sitting two or three tables away figured out I was a reporter. “Who do you write for?” he asked. I told him I freelance for various publications. He, it turns out, was an editor for a news outlet where I worked as a staff reporter years ago. He was outside the office that day so he could work on a project without interruption. Yesterday, on my way to the cafe, I noticed that two blocks of nearby South Street were closed off and firefighters were at work. I asked a barista what was going on, and the customer next to me piped up. An iconic Philadelphia pizza shop was gutted (this news actually trended on Twitter) and the guy next to me was reporting about it on a real estate blog. In the Internet era, cafes are a new newsroom – one face of the larger telecommuting-virtual office trend. Two winters ago, in the aftermath of a blizzard, I sat in another neighborhood cafe, where I interviewed by phone an executive who was snowed in at home — with his in-laws — elsewhere on the East Coast. An editor snowed in at her home in another state edited my story. These cafe newsrooms may not have hard-boiled, or softhearted, news editors sending reporters out to grab man-on-the-street interviews about the weather, and they don’t have crackling police radios. They do have their share of quirky characters and good eavesdropping opportunities, and the coffee is much better than that hardened stuff at the bottom of the Mr. Coffee carafe in the newspaper break room.